Guests sported festive attire at the fun-filled event. 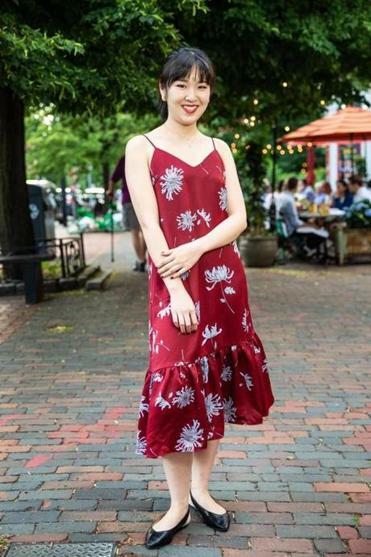 Tan, an Allston resident, plays flower girl in an Urban Revival slip dress with Qupid ballet flats. 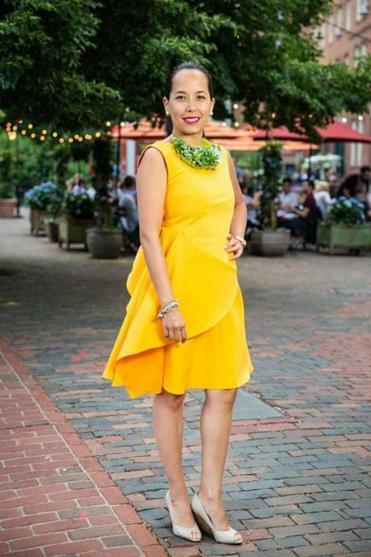 The event cochair, who lives in Roxbury, lights up in a fanciful yellow COS dress with a CeBola Design “living jewelry” floral neckpiece. 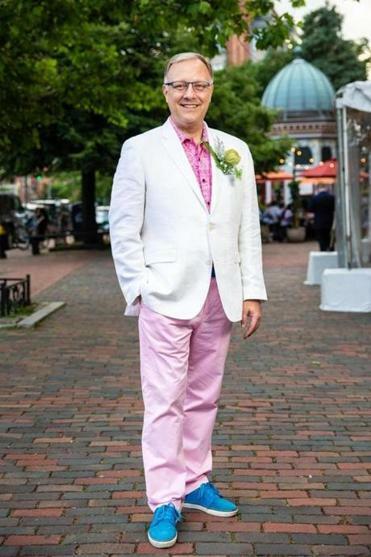 The BCA president and CEO, this Boston resident charms in a Tommy Hilfiger jacket and pants, Robert Graham pink shirt, corsage by Beverly Sky, and his turquoise wedding sneakers. 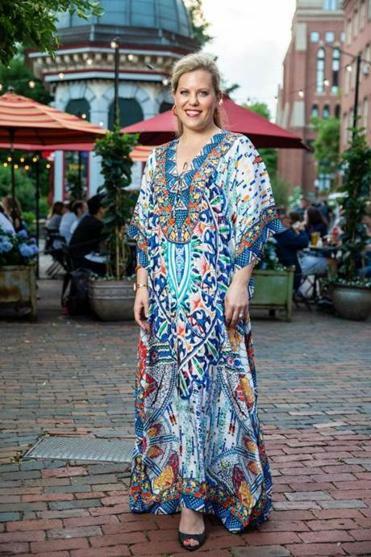 A Newton resident, Rosenfeldt goes resort elegant in a colorful ($25!) Sakkas caftan from Amazon with Ann Taylor peep-toe pumps. 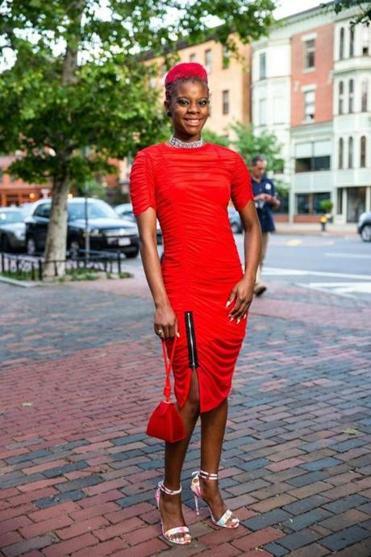 This Dorchester resident runs red-hot in a slinky Forever 21 dress with Aldo floral-print sandals and Grandma’s vintage bag. 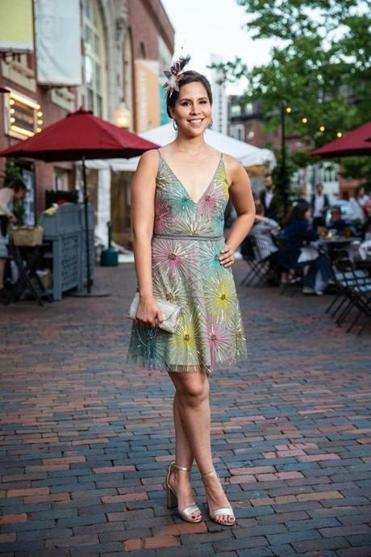 Tovar, a Boston resident, sparkles in a BHLDN sequin frock from Anthropologie with a vintage silver clutch and metallic Sam Edelman sandals.